On our website, we accept payments via all major credit cards (Visa, MasterCard, Discover, and American Express), PayPal, and US Post Office Money Orders. Customers picking up an order must pre-pay via our website, as we do not offer payment services at our warehouse location.We also accept purchase orders (PO's) from government agencies, schools, and accredited universities. Purchase orders must be emailed (PDF format preferred), or sent by postal mail and will be confirmed. Major Credit Card Payments - If you select our regular checkout process, you will be prompted to select one of the four major credit cards. When your order is finalized, our credit card processing company - Authorize.net - will try to obtain an authorization for the full amount payable. If this is successful, we will then queue the transaction for payment (settlement). We use fraud protection, address verification, and CVV2 code checking for all credit card orders. In addition, when orders are billed and shipped to a different local area, a phone verification may be initiated. PayPal Payments - If you select our regular checkout process, you will be allowed to select payment by PayPal. You must already have a PayPal account, and it must be linked to an authorized payment method (normally your bank account, or major credit card). PayPal offers methods of buyer protection as well as merchant protection against fraudulent use, and order disputes. US Post Office Money Orders - If you are unable to pay by credit card, or PayPal, we accept payment by US Postal Money Orders. Money orders must be sent and received within 10 days of your on-line order, and be payable to "My Cable Mart". 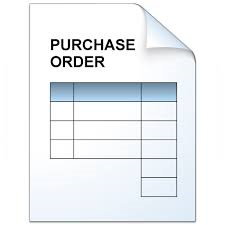 Purchase orders should be EMAILED to or faxed to 952.937.0469. Automatic terms are granted to: Public schools, University, Hospitals, Any Government Agencies (City, County, State, and Federal). NET 30 terms are also selectively granted to valued customers. Please download our CREDIT APPLICATION (word doc) for consideration for terms. Our W-9 is available on request.